Our Brent carpet cleaning specialists deliver a fantastic service to meet the specific needs of everybody and make their carpet clean and tidy. With years of experience in the industry and the very best and most effective cleaning products at our disposal, Carpet Cleaning Brent are the carpet cleaners you should call if you need your upholstery to be given a good makeover. Our rug cleaning specialists are available at any time on any day of the week and you can get in touch with them on 020 8434 7141 and they will come to your home complete with all the equipment they need whenever it suits you best. You don’t have to live with dusty curtains, stained and smelly sofas and discoloured rugs – our NW1 upholstery cleaning service will sort out your problems and leave your upholstery clean and tidy. Our carpet and sofa cleaning is very convenient for customers, who need only pick up the phone, call on 020 8434 7141 and tell us where to come and when, and we charge very affordable rates for our upholstery cleaners to come and refresh your home. We use deep heat cleaning machines and refined techniques to achieve excellent results for our customers and bring everything we need with us. Move out cleaning is a laborious task and it is hard to get down to it when you are already busy enough trying to move. Our Brent end of tenancy cleaners in Carpet Cleaning Brent can help you deal with all of that and we can provide you with the standard of end of tenancy clean you need to get your deposit back from your landlord. Our experts work flexible shifts to enable us to come to tenants with end of tenancy cleaning at times that suit them and you can bring us in at short notice. Many domestic cleaners in Brent do the basics and the bare minimum when they are getting a house clean but this isn’t acceptable in our book. Our domestic cleaning service is designed to make your home sparkle, and we only achieve that by getting right into the corners, leaving no surface unpolished and no bathroom tile untouched by our cleaners. If you want to benefit from the most reliable and efficient home cleaners in the NW1 area, then don’t hesitate to call our cleaning company. We’ll happily do a trial clean for you so that you can see what you’ll be getting! 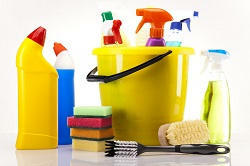 Cleaning a house from top to bottom involves a high degree of cleaning products and equipment. Buying all of these is very costly and our house cleaners bring all the necessary items to the homes we clean to save our customers a lot of time and money. The NW1 house cleaning services that Carpet Cleaning Brent provides, are very efficient and handy for home owners and if you want your house clean, then call us and we’ll do all the hard graft. Our cleaners take home cleaning very seriously and we won’t leave anything out when we are cleaning for you. The office cleaning across the NW1 area we offer is well worth experiencing. Many London companies have frustratingly average office cleaners but our commercial cleaning service is all about efficiency. 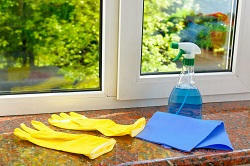 We clean every surface, hoover and mop every bit of floor space and clean windows and bathrooms to a very high standard. Our commercial cleaners work flexible shifts to enable us to come to business premises at any time that suits our customers, and we can offer specialised industrial cleaning for premises which involve a lot of messy work, or need cleaning to certain standards to comply with health and safety regulations. We will meet your individual requirements, so call 020 8434 7141 and reserve your appointment now. 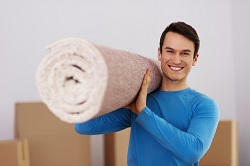 When you need carpet cleaning services at reasonable prices in Brent NW1. Book us by calling 020 8434 7141 today! Had some rugs to clean, but I could not be bothered with it, so I saved a bit and then went to Carpet Cleaning Brent for help. They provided me with excellent rug cleaners for a low price who came to my place the very next day and did a quick and efficient job with the rugs. They even gave me some tips on how to handle the maintenance on my own if I ever could be bothered. Appreciate the help and advice, thank you very much!! Carpet Cleaning Brent offer the most cost-effective commercial cleaning services in town. I've been working with them for almost three years now and they are yet to disappoint. Keep up the good work! This was the first time I ever hired professional cleaning help and Domestic Cleaning Brent did a wonderful job. 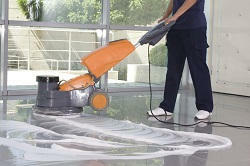 I hired them a few days back for hard floor cleaning and I was overjoyed with their work. It was excellent. They removed all the stains and dust from the floors and left them immaculate. I have seriously never seen them looking so clean. I couldn't find a speck of dirt on them once the cleaners had cleaned them. It was like magic. And it was such a quick and easy process, with zero stress and no messing. Carpet Cleaning Company Brent supply me with a great office cleaning service on a daily basis. The office cleaner is competent and empties the bins, polishes, sweeps and mops. The service is well worth the money and my office looks spotless every day and it is a pleasure to come to work! I have a bed and breakfast which Carpet Cleaning Company Brent cleans for me twice a week. The standards of cleanliness in my establishment are crucial to its success and I have to say, the cleaners have never once let me down on that front. It's fantastic to have confidence in a cleaning company and even better to know it won't break the bank. Brent, Camden Town, Regent's Park, Baker Street, Somers Town, Euston, Primrose Hill,Dartmouth Park, Chalk Farm, Tufnell Park, Holloway, Kings Cross, Chinatown, Fitzrovia, Barnsbury, Islington, Barnsbury, Marylebone, Canonbury, Islington, Pentonville, Bayswater, Archway, Kentish Town, Regent Street, Oxford Street, Soho, Marylebone, Mayfair, Tottenham Court Road, Notting Hill, Maida Hill, West Hampstead, South Hampstead, Swiss Cottage, Highgate, Upper Holloway, NW3, W2, NW8, W1, SW7, NW5, N1, SW1, NW6, NW1, N16 and the rest of London as well. Description: Revolutionary low prices offered only by our professional carpet cleaning firm in Brent, NW1. Dial 020 8434 7141 now and get a free gift with the purchase! Copyright © 2013 - 2015 Carpet Cleaning Brent. All rights reserved.